Our charges (including our visitors’ fees) are available here. Access will cost £10 per day per member. Book your visit in advance by emailing:library@geolsoc.org.uk or calling +44 (0)20 7432 0999. The Mineralogical Society Library moved to Kingston University in February 1995. It is housed in the main University library at Penrhyn Road and is fully integrated within the University library system. 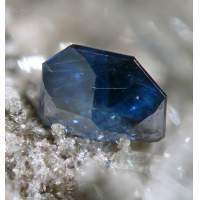 Mineralogical Society members who wish to use it will have access to the entire library collection and are welcome to use all the library facilities, including photocopying facilities, within the Penrhyn Road library. The collection is for reference only. Due to University security regulations, members wishing to use the library at weekends will need to obtain a pass in advance from the Penrhyn Road Library. Access to the Mineralogical Society Library is available during the normal opening hours of the Penrhyn Road Library. In term time these are: Monday–Friday: 08.30–21.00, Saturday 10.00–17.00, and Sunday: 10.00-21.00. In vacation time, the library is generally open Monday to Friday between 08.30 and 17.30, although members are advised to confirm opening times by telephone. The library is closed on bank holidays. Kingston University is easily reached by road (rapid access from the M25 by the A3 and A240), bus from Heathrow Central Bus Station or by rail from Waterloo or Clapham Junction to Surbiton or Kingston (the former has a faster and more frequent service).